property Hajime Imura et al. All Copyright © 2013 are guarded by law and by SCIRP as a guardian. since we still observed delayed potentials three years after the surgery. due to the rarity and difficulty to approach. angiogram showed no stenotic lesions. cular cells in a histopathological examination (Figure 3). 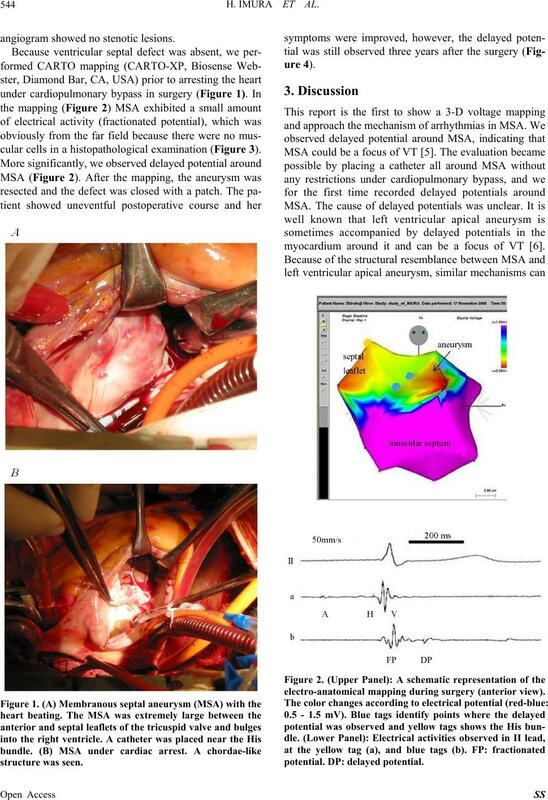 myocardium around it and can be a focus of VT .
electro-anatomical mapping during surgery (anterior view). right margin. 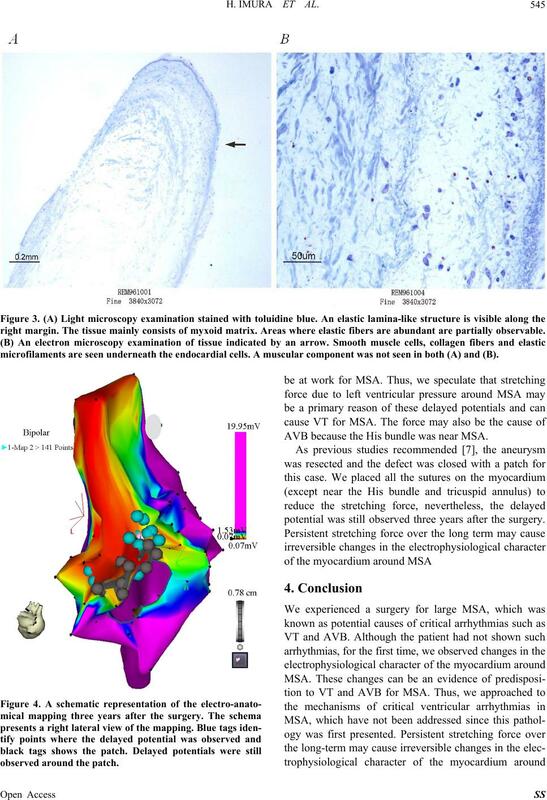 The tissue mainly consists of myxoid matrix. Areas where elastic fibers are abundant are partially observable. microfilaments are seen underneath the e ndocar dial cells. A muscular c omponent was not seen in both (A) and (B). AVB because the His bundle was near MSA. potential was still observed three years after the surgery. three years after the surgery. 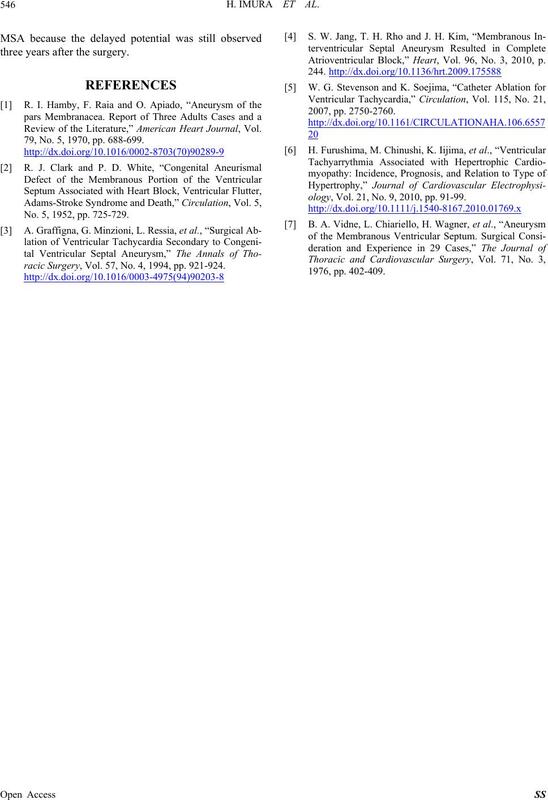 Review of the Literature,” American Heart Journal, Vol. 79, No. 5, 1970, pp. 688-699. No. 5, 1952, pp. 725-729.
racic Surgery, Vol. 57, No. 4, 1994, pp. 921-924. 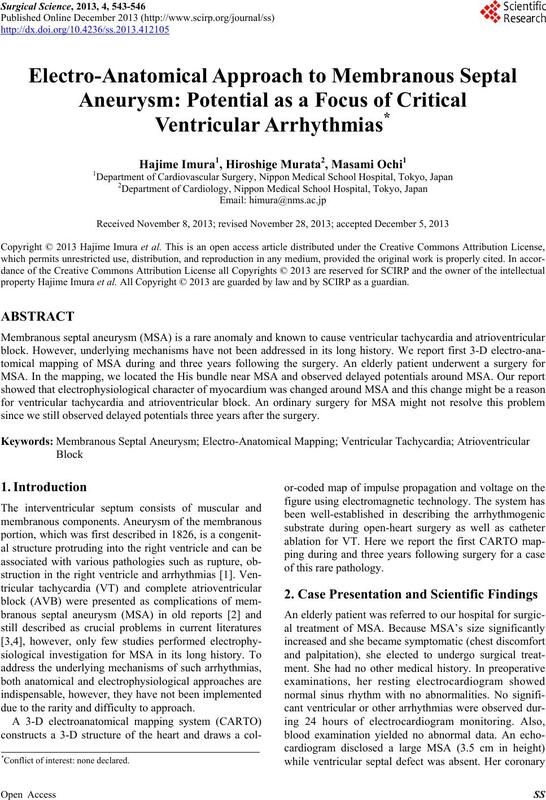 Atrioventricular Block,” Heart, Vol. 96, No. 3, 2010, p.
ology, Vol. 21, No. 9, 2010, pp. 91-99.